Hospitals are where we find the most seriously ill people in our society. Patients go there to receive lifesaving and life-prolonging treatment, but they are also where many will deteriorate and die. Care for these people and their families is therefore core business for hospitals, and this is being increasingly recognized internationally. Hospitals are also facing the challenge of how best to meet the needs of a population that is becoming ever older and frailer. When in an acute care facility, patients with advanced disease require palliative care in its broadest sense, and when their needs are complex, they deserve reliable and timely access to specialist support. 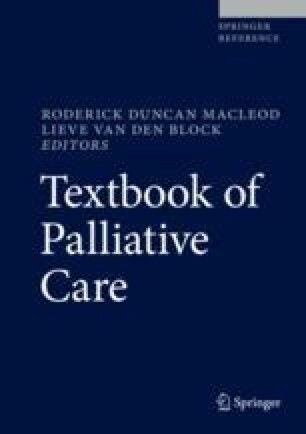 This chapter will look at the provision of palliative care in the acute setting, from the perspective of a dedicated team, working in a small provincial city in the South Island of New Zealand. It will explore how this service has developed and how it operates and thrives within its unique healthcare setting. A broad range of challenges and opportunities are discussed as well as issues such as information technology, team sustainability, and education provision. Ultimately the aim is to promote a culture change in health that promotes universal access to holistic care at the end of life.